The moment of inspiration is THE most powerful moment to manifesting your dreams and desires. It is the moment in time that the door of opportunity is opened widest. That’s why you must take advantage of this momentum and take action at the moment of inspiration.This is one of the ways your Intuition speaks to you – through intuitive inspiration. When it pulls you toward an opportunity there’s a reason. You can only be pulled toward something that you resonate to vibrationally because it is a matching vibration. Like always attracts like. Those moments contain the power to propel you further toward accomplishing your goals and achieving what you desire than at any other time. You might think of them as you’re own private “splitting the atom” moments. The power released by splitting the atom is incalculable but it’s not worth a thing if you don’t harness it and let it slip through your fingers. When you hesitate and wait….the power escapes and is lost to you forever. You forfeit this amazing opportunity and the door slams shut – fast. To manifest what you want you must allow the inspiration of what you envision creating to move you into taking ACTION. 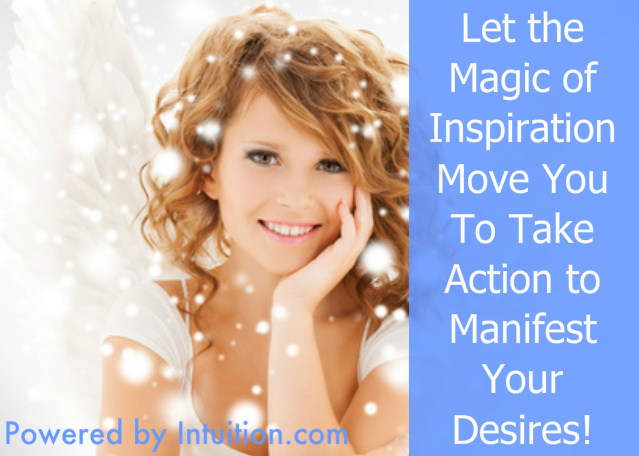 The magic to manifesting is in the moment of inspiration, so use it! 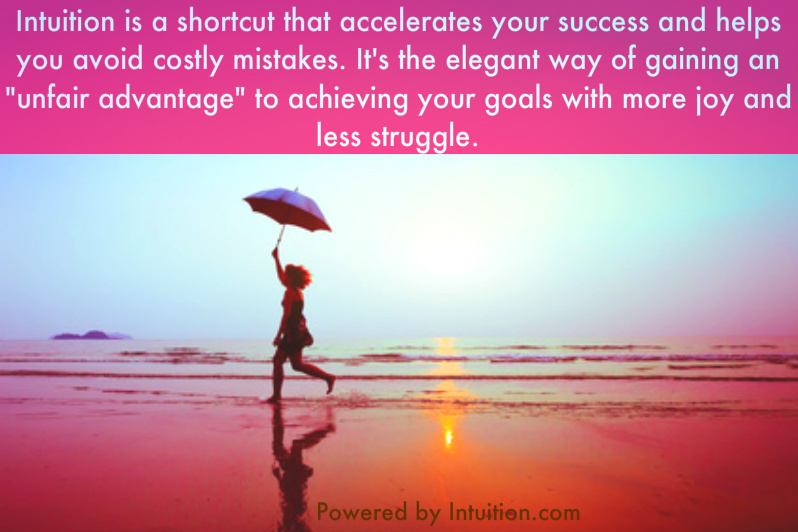 If you stop to think about all of the obstacles – you’ve already lost that momentum. Putting your attention on what you perceive to be the challenges – means that you will surely attract more challenges. It cannot be any other way. What we focus on expands. This is a basic law of the Universe. It is also why beginners often achieve what more experienced people do not. Beginners are not aware of all the pitfalls they might encounter so they jump into an opportunity with both feet and Voila! they accomplish something astounding that we attribute to “beginners luck.” But it’s not luck…it’s freedom from the grips of fear that keeps experienced people stuck. The moment you’re inspired by an idea is the moment of its greatest power. If you don’t take action your Ego will. The longer you linger in indecisiveness and hesitate the more your ego will undermine your enthusiasm by whispering things like, “You don’t really want to to that?” and “It will never work anyway so why bother,” or “It’s not that important to you anyway.” And then you’ve talked yourself out of an opportunity to break out of your comfort zone and attract what you desire to you. This will stop you in your tracks and keep you stuck in procrastination where you are assured that NOTHING will change for the better in your life. To walk headlong into opportunities the Universe thrusts in your path you must have a “Can do” attitude and be resourceful rather than zeroing in on all the reasons why you can’t do something. When you give into what you ‘perceive’ to be the obstacles you’re giving away your power as a creator to rise above the perceived conditions. Conditions are only conditions if you uphold them with your beliefs. If you believe you can’t do something because say, you think you can’t afford it. Guess what! You just slammed the door on an opportunity and made those conditions your reality. And the only way to change that is to change how you react. Overcome negative reactions. Instead of allowing the door of opportunity to slam shut by immediately going into negative thinking, change how you think by asking yourself any of these SIMPLE questions: How CAN I do this? How CAN I make this happen? How CAN I afford this? The minute you pose a question like any of those to your subconscious it will go to work digging through every file in your memory to answer the question. It will start bringing up SOLUTIONS into your conscious awareness. This is how you become resourceful and accomplish what others call miracles. They are stuck in a fear based mindset thinking things such as, “I can’t do it, It won’t work for me” and “I can’t afford it” while you’re out there doing amazing things that others marvel at! . Successful people allow inspiration to lead them and take advantage of opportunities by being resourceful and finding ways to say YES to opportunities – when other people say they can’t afford it, or do it for any number of reasons. And that’s what opened unexpected doors to their greatest success. Achieving success is harnessing the moment of inspiration and doing IT when other people cower in fear and say there’s no way. What are you saying No to? What will it take to be open to your inspiration and allow it to lead the way? I hope you enjoyed this article. Please feel free to share it with a friend and on social media. 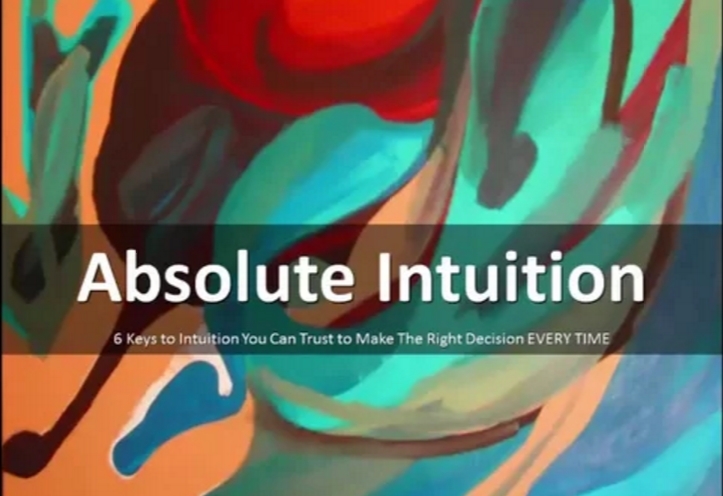 Take the first step toward developing your intuition: Click Here. Does the world feel upside down to you these days? There’s so much fear and unrest since the inauguration of the new US president. One day the world was ‘normal’ and then the next day it wasn’t. This atmosphere is producing a lot of stress and anxiety because we don’t know what’s going to happen next and we don’t know how to deal with it. The chaotic events of recent days have affected me too even though I’ve tried my best to stay neutral and centered. One minute I’m okay and then the next I feel myself pulled down into the negative emotions of fear, anxiety and despair about the future of our world. I know I’m not the only one that this is happening to which is I why I decided to address this. It’s vital that we rise above the lower levels of fear, anger, and resentment where these emotions can cause us to “react” rather than act consciously. When people react they say and do things they might not have done otherwise. All this ‘reacting’ causes other people to ‘react’ against them and that creates more negativity and an environment of anger and unrest. Keeping our emotions in check ensures we don’t become ensnared in all the drama. Keeping our vibrations in the higher emotions allows us to remain in more neutral state where we can ‘choose how to act’ rather than ‘reacting out of fear or anger’ to our circumstances. In these tumultuous times our emotions are being assaulted by all that’s going on around us. The fears about our safety and security triggers the reptilian brain keeping us in a perpetual state of fight or flight. To rise out of the continuous cycle of being triggered and having those shock waves of fear flood through your mind and body you must try to shield your self by turning inward and re-balancing your emotions. Re-balancing is bringing your emotions back to center after they’ve been jolted to one end of the spectrum or another. The fear and anxiety cause a wild swinging of emotions from one extreme to the other that make you feel out of control and off balance and lead to feeling disempowered. When you feel disempowered you may also feel hopeless and helpless like a victim of circumstances beyond your control. The more disempowered you feel the more entrenched you become in this vicious cycle of wildly swinging emotions. And the less likely you are to take steps to reclaim your power and your life. 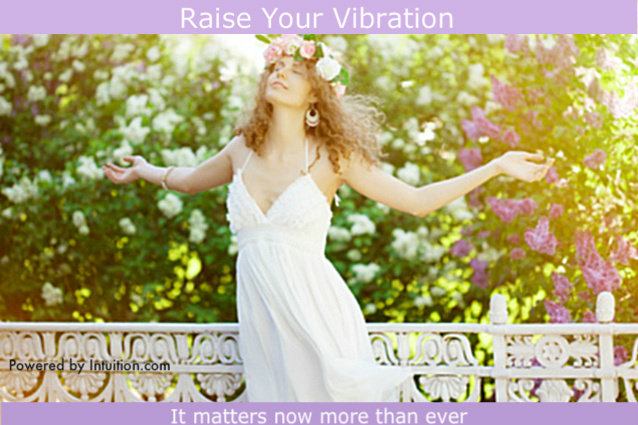 Why intuition and raising your vibration matter now more than ever. What we need now more than ever is for people to be conscious, compassionate and empathetic. When people feel compassionate and empathetic they’re less likely to ‘react’ in ways that might hurt others. The way to stay above the fray and in the higher emotions of compassion and empathy is by connecting more frequently and more deeply to our intuition. The more connected you are to your intuition the higher your vibration will be. Tuning into your intuition requires that you go within and listen to the “small still voice” rather than the din screaming for your attention on the outside. Going within, quieting the mind and listening has been proven in studies to increase compassion. There are studies that show how a certain part of the brain corresponding to compassion and empathy “lights up” during meditation. If you’re intent is to be a clear channel in order to receive guidance quieting the mind is a must. The more you practice the more your compassion center is awakened and nothing could be more important in the world right now than compassion and empathy. Developing and fostering your intuition allows you to feel what other people are feeling. That means you feel their pain and suffering as if you were ONE because we are ONE. We are one living breathing organism. Our apparent separateness is an illusion. The life force energy that keeps my heart beating in my physical body isn’t separate from the life force energy in your body. The truth is we are not our bodies. We are that life force energy. The life force energy is known as Chi, Spirit, Greater Intelligence and God and other names. And we are all part of one energetic web of life in an around and through our planet and most likely beyond it. Intuition is the technology through which we connect to this web of life. Getting still and listening to the stirring of our intuition is how we are guided toward the light of higher emotions that nurture and protect us. This is a time in history when we need more connection, kindness, compassion, and empathy then ever before. To climb out of the lower emotions and stay in the higher emotions we need to increase the amount of love we feel within us. There is no way to feel loving and angry or fearful at the same time. So we need to choose to feel loving and make that our intention. One of the best ways to lift ourselves from the negative lower emotions is to focus on others. When we focus on helping other people we are automatically taken out of the lower emotions. We stop dwelling on our own fears and our heart center opens just a bit wider when we are doing for others. We can focus on others by helping the people in our lives who need our help. We can also volunteer to help others through the many organizations that rely on volunteers to bring much needed services and goods to people. We can start groups or join groups dedicated to projects that do good works. We can also pray for others. There’s a myriad of ways we can focus on others and begin to take the focus off our own fears to feel empowered again. It matters that we stay in the higher emotions more than ever now because we aren’t victims. We can feel empowered and there is hope for our world. There is always hope as long as we remain conscious and non-reactive. We can come together as a group and lift our vibration together and then use that higher energy to send love around the world to lift the vibration of the planet. Our collective intention can make a difference. I’d like to invite you to participate in a group meditation to raise your vibration and the collective vibration to increase compassion and empathy in all the people of the world. If you’d like to do something to impact the world in a positive way and help yourself deal with what’s going on please join us. This group meditation to help you feel at peace and help the world be more peaceful. I’ve joined my local ‘Indivisible’ group and we are planning on visiting our state representative’s office and participating in some upcoming events. But in the meantime I feel called to facilitate this meditation so that we impact things on the spiritual level as well. Here’s the link to sign up and be notified of the group meditation: Click here. If you enjoyed this article please share it with a friend on social media. Thank you! 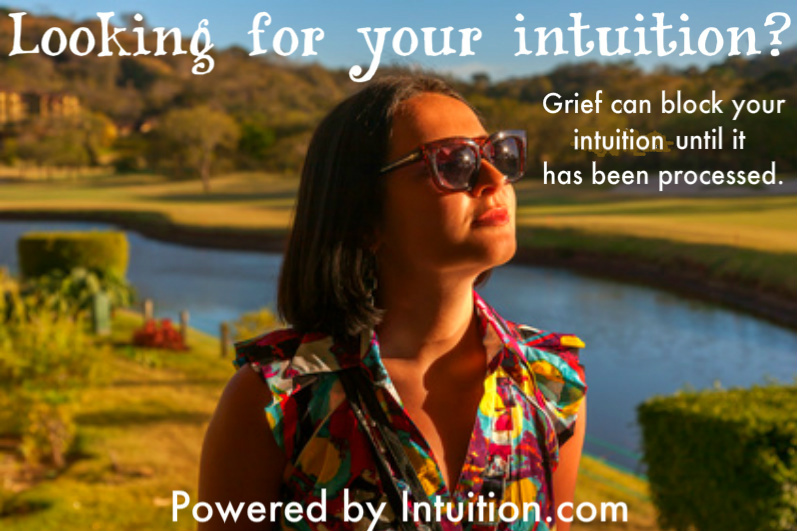 To learn more about igniting your intuition: Visit here.